Min Jin Lee discusses her motivations and future plans for her trilogy, "The Koreans." “History has failed us, but no matter,” reads the first sentence of Min Jin Lee’s 2017 National Book Award Finalist Pachinko. Lee, a recently announced fellow at Harvard’s Radcliffe Institute for Advanced Study, introduces both the scale and stakes of her saga in these seven words. While her 2007 debut novel Free Food for Millionaires focuses on the experiences of Casey Han, a Korean immigrant in America, her second novel examines diaspora on a larger scale. 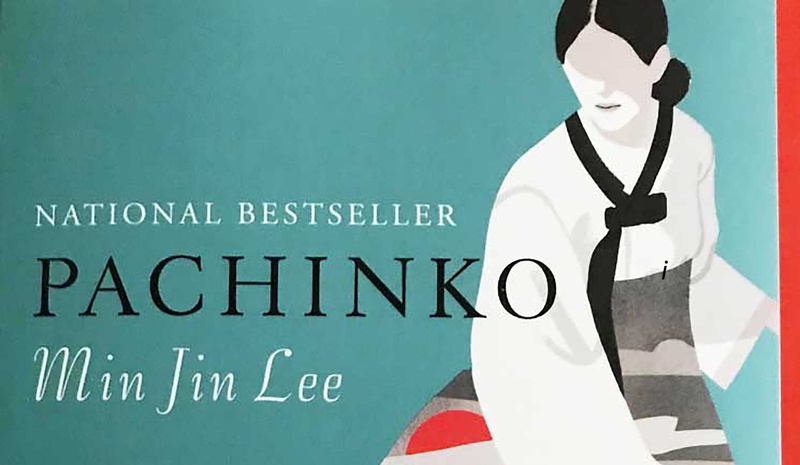 Pachinko follows the lives of a Korean family across four generations, first in Japanese-controlled Korea in the early 20th century, then in the Japanese mainland from the years leading up to the Second World War to the 1980s Japanese economic boom. Following in the footsteps of Asian-American and Korean-American writers such as Theresa Hak Kyung Cha and Ronyoung Kim, Lee manages to differentiate herself through her style and distinct perspective of the Korean expatriate. Lee explains her influences, saying her work tends to be different because “I’m interested in the novel of ideas, but also in the social novel of the 19th century. I want to write about communities.” While the 19th century social novel does not address the experiences of 20th century Asian immigrants, it nevertheless offers modes of craft for Lee. Pachinko reflects Lee’s desire to tell these previously unheard stories in a sincere and human way. “The curiosity to learn more about your history and your identity, and the social norms of where you grow up, is a part of your maturation. And the absence of stories creates a kind of hunger,” Lee says. The title of the book itself, Pachinko, references an important motif throughout the novel’s many sub-narratives. Pachinko is a Japanese game, described as a cross between pinball and a slot machine, wherein small metal balls drop randomly amid a maze of metal pins. The game’s large and colorful booths fill buildings and districts across Japan. In Lee’s exploration of the Korean immigrant way of life, she vividly demonstrates how working in pachinko parlors became one of few ways to make a living, as the Korean minority was barred from employment in many industries. The chance nature of the game provides an overarching metaphor for the story’s understandings of fate in this family’s history. In Lee's exploration of the Korean immigrant way of life, she vividly demonstrates how working in pachinko parlors became one of few ways to make a living, as the Korean minority was barred from employment in many industries. As you wait for the final installment of “The Koreans” written here at Harvard, pick up a copy of the admirable and passionate read known as Pachinko. Min Jin Lee is a Harvard’s Radcliffe Institute for Advanced Study and National Book Award finalist. The Crimson's news and opinion teams—including writers, editors, photographers, and designers—were not involved in the production of this article.